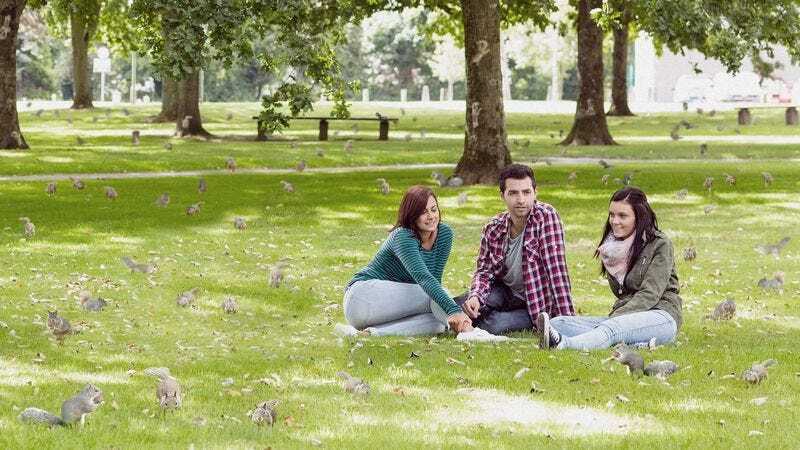 GLAND, SWITZERLAND—While fully acknowledging that the small rodents were in no danger of extinction whatsoever, the World Wildlife Fund announced an ambitious breeding program Wednesday to produce far more squirrels than necessary. “Although there’s already a very healthy global squirrel population, this initiative would help produce substantially more of them than the planet requires,” said WWF director general Marco Lambertini, adding that the organization hoped to increase the planet’s current squirrel population by at least 800 percent within a decade. “Right now, across the world, there are places where you can literally walk 10 feet without seeing a squirrel or where you won’t spot one the very second you look out your window. It is absolutely vital that every ecosystem—whether or not squirrels are currently present—be absolutely teeming with squirrels, because squirrels should be everywhere at all times.” Lambertini went on to say that the current population goals could, and would very likely be, amended to reflect the desire for even more squirrels.